I hope everything will be fixed. I have a lot of things to discuss. I have good news: my entry is confirmed for all the three categories for the Isle of Man TT! This is the most important right now! As I haven't raced there for three years, my race number will be #64. In 2011, it was #49. It is not a problem, the matter is that I will be there. I keep you updated. I am doing motocross for the first time since my accident. The style is a bit old school, but makes me remember to the good times. The bike and the clothes are from 2006. But I don't worry about it as my tempo is also like from 2006, which is fast. The change of environment did good to me. Big happiness that Paddock hotel and Pannoniaring secured me that they support me in 2014. A document movie staff followed the Honda TT Legends team in the recent years, and they made a documentary series about them. It has eight episodes, you can watch them here. The audience could witness an exciting, but shorter-than-planned race on the 16th of November, 15:30 PM local time. Two riders crashed out right in the first lap, at the Lisboa corner. In the first laps, Sandor's teammate, Gary Johnson and the title defender Michael Rutter battled for the first position. Behind them, on the third place came Ian Hutchinson, who kept closing the gap. In the third lap, he overtook Johnson, and he did the same with Rutter, on lap 6th. The order in the lead did not alter until the flag - which was not chequered, but red this time. In the twelfth lap, Dean Harrison crashed out. He left unhurt, but the bike was lying on the track in such a dangerous place, that it was very risky to bring out, therefore the race direction decided to suspend the race. As there were only two laps remaining, the race was not restarted. Hutchy scored his first victory, Rutter finished second and Gary Johnson third. Sandor finished on the fantastic 19th place. Now the adrenalin is high in me. I am full of sweat. It was a hard race. I defeated Ben Wylie who finished third at Terlicko in the Grand Finale. It is impossible! Quattro Plant finished as the most successful team! I based my future with this. The four-leaf clover I got from Gabi, protected me all the time, superb feeling." "My dream came true. Top 20 was my goal, and I finished 19th even with a broken leg, therefore I got an invitation immediately from the organizers for next year. I was very stressed on the warm up. The race saw big battles. During the three days I kicked the shifter apart with my wrong leg. So I could shift back only that I set the clutch backlash-free. My start was bad, I had to close up and fight. It was hard to get past the slower riders. But nevermind, we are the best team, and reached my goals and my future is secured. It is a big achievement that I defeated ICE Valley BMW rider Ben Wylie, who finished third on the Terlicko Grand Finale, where I finished only 20th, and where he was nine seconds faster than me. I developed this much since September the 2nd. It is hard to handle all these good things, but I deserved these. Thanks for all the support. I would like to thank this year to everyone, who are visible on my clothes. Especially for the Red Line, and big thanks for the others: H-Moto and Krisztián Kelemen, Polidom, Danger Bikes, Superzone. I must not forget the dedicated work of my friend Dr. Ervin Popik in order my broken leg to heal as fast as possible. On November 15th, the day of qualifying saw Ian Hutchinson securing the pole position with his Milwaukee Yamaha (with which Ben Spies won the world superbike title in 2009), after returing from a 18 month hiatus caused by a serious leg injury. 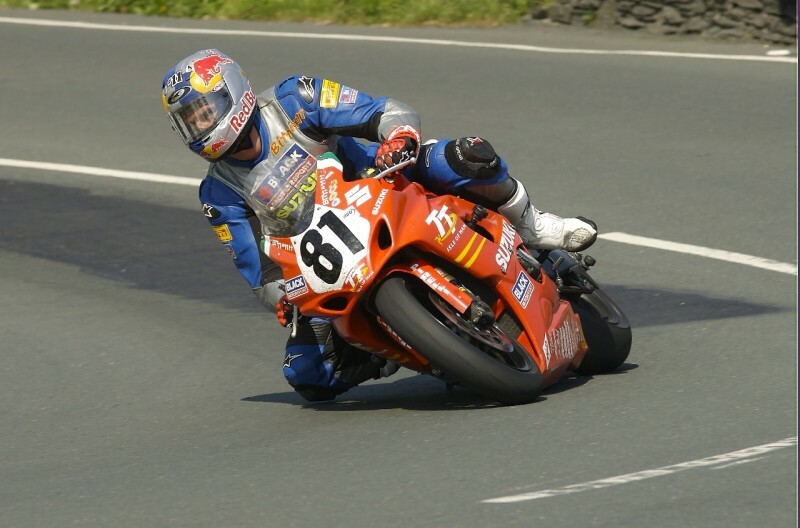 He defeated the king of Macau GP, SMT Honda's eight-time winner Michael Rutter. "We woke up at 05:20 very tired, as the qualifying started at 07:30. I expected much, maybe too much from myself after the minor changes on the bike. I wanted to keep my yesterday's position, and be 1.5 seconds faster. I could not achieve this. We altered the suspension to the right way with Gary Johnson, and I kept changing the transmission, until I found the most suitable for me for tomorrow's race. From then on, I saw that everyone, except AJ goes with superbike machine, and everyone went with qualifying tyres except us, so I focused on finding the right settings to the race tyres. I did 2:37.092 with hard race tyres, and my ideal lap time according to the sector times is the middle fo 2:36. So, tomorrow, in the battle 2:35 and the top 20 results is possible. My biking condition is fine, and I am not afraid of the long and heavy battle. My leg is like before. It is broken, but id does NOT stop me from racing. Before, and after it it hurts, but I get used to it. Now we are preparing mentally for the tomorrow. I can hardly wait, so that I can have a good race tomorrow."